Call it Manwich, sloppy Joes or like five other names I cannot begin to recall; they are all the same. 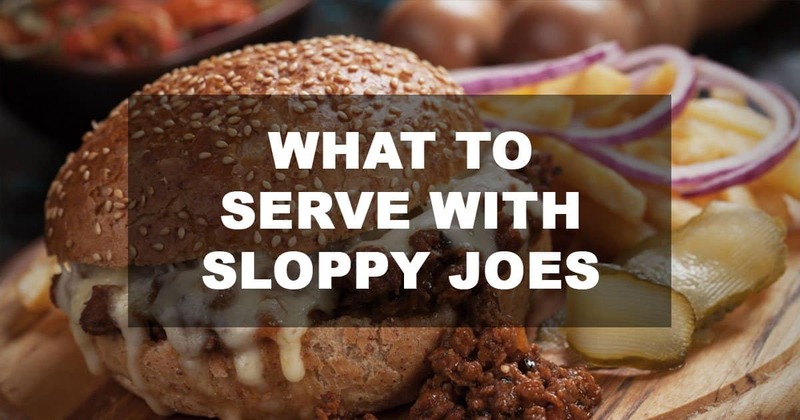 Sloppy Joes are one of the easiest meals you can make, with ingredients that are very basic you know exactly what you are out to make before you start making it. History has it that sloppy Joes were first made by a cook who “mistakenly” threw in some tomatoes with a mix of loose meat sandwiches and he never looked back since then: The sloppy Joe was invented (did I mention that the name of the chef was Joe) I didn’t right? Yes, that was his name. There are other stories about its creation such as the one that goes that the renowned sloppy Joes bar first tried it out on their menu and it then became a stable from then on. Around that same time in those ancient years, there was a widespread use of loose meat in sandwiches in different forms as well which made the introduction of the sloppy Joe very acceptable, but it stood out probably because of the inclusion of tomatoes sauce. I absolutely like this sloppy Joes recipe and that is why it’s coming first on the list. If you like eating vegetables but always have a hard time taking it down when it’s all piled up and sliced, make more of these sloppy Joes, you would forget you are eating veggies. This is also a way to get any child to eat as many veggies as you can put together. The recipe by Celebrating Sweets has a very refreshing pick of ingredients that are healthy. When on a diet, this kind of dish can definitely be infused into the staples probably once a week or twice. There is also the option of serving the sloppy Joes on half buns to cut down the carbs. Personally, I want it all, the two halves intact. This recipe by Five Heart Home is what goes into making an average-classy sloppy Joe that has just the moderate amount of ingredients, and it’s all homemade including the sauce. Making homemade sauce is a plus because you get to tweak the sauce using only the quantity of ingredients that will give you the taste that you want from it unlike the store bought ones that give you whatever they like. Oh, I didn’t ignore the part where talked about how to get your kids to eat some veggies, I read it and you should too, quite creative. For a party or mini get-together, make some sloppy Joes using this recipe by Valerie’s kitchen. The ingredients used are similar to most other sloppy Joe ingredients except for some spices which she used such as the cumin and then the cheese! Oh the cheese, this made all the difference, looking at the cheese melt inside the hamburger rolls is so tempting. As for the King Hawaiian rolls, if you have some, all the better for you but if you don’t, use your regular hamburger rolls and make your sloppy Joes, slicing the rolls in half makes the sliders handier. Within thirty minutes, you should have all your sliders ready feasting. For a slow cooker recipe on how to make sloppy joe sliders, try this recipe by Catz In The Kitchen, they made use of ground chicken instead of ground beef, Yum. For a simple side pair to go with sloppy Joes, make some carrot sticks with this recipe by Tiny Urban Kitchen, they take less than thirty minutes to make, and it’s as easy as cutting them up into desired sizes, placing in the oven and toasting to crisp brownness. The only thing I kind of find tricky with this recipe is the toasting, you will need a convection oven toaster, and then, you will have to be on the watch for the toasting, as said on the page, these could turn our burnt if care is not taken. So, it’s my advice that you should ease up on the multitasking when you decide to roast your carrots. It’s better you get it done when you are through with the sloppy Joes, that way you can take the time to monitor your cooking and serve it while still hot and out of the oven. For a heavier side dish than the toasted carrots which we talked about earlier, you can make some potato salad. Of course, most of us know how to make a perfect potato salad, in fact, some of us have it as a staple in our homes every other day but there is something different about this recipe by Fashionable Foods, and it’s the use of homemade mayo! Why buy mayo from the store when you can make some yourself in less than five minutes using healthier oil choices? For the mayo, you will need a mason jar (wide mouth), and an immersion blender. Emphasis was laid on the wide mouth for the mason jar to allow the immersion blender do its work with ease and when you think about how well the ingredients for the mayo should be emulsified, it makes a whole lot of sense. Get the recipe for the mayo on the same page with the potato salad. Anyway, making sloppy Joes is a nice way to use spices and ingredients to figure out different flavors you can combine. Aside from using ground beef for your sloppy Joes, you can use any other meat you want so far it is diced enough to blend in with the other ingredients; you are good to go.